Cherry Hill High School West students are reenacting Washington Irving’s “The Legend of Sleepy Hollow” this week. The audience should be prepared to get a glimpse of the people and ghosts who reside deep within the haunted New York town. The play will be performed Friday, Oct. 27 at 7 p.m., Saturday, Oct. 28 at 2 p.m. and 7 p.m., and Sunday, Oct. 29 at 2 p.m. in the Cherry Hill West auditorium. “The play has a little bit of everything, it has comedy, romance and suspense,” senior Sam Tereshko, who plays Dame Van Tassel, says. “The Legend of Sleepy Hollow” is a 19th century American horror classic that follows the protagonist, Ichabod Crane, to a new town where he encounters friends, foes, love interests and even ghosts. Viewers will have the opportunity to meet an array of characters with vastly different family dynamics and personalities, all sharing one stage. Some of the characters compete for each other’s affection, especially Katrina’s, Ichabod Crane’s love interest. The performers are challenged to embrace roles where they have to compete with one another to earn Katrina’s heart, which resonated as lessons for some of the students. “I learned that women back in the 1790s were very hard to please,” sophomore Jacob Hort, who plays Brom, says. Despite the competition on stage, the cast members are all supportive of one another off stage. The Cherry Hill West Theatre has been able to introduce each role in a thoughtful and creative way, working together to perform an authentic production. This fall production is expected to keep the audience at the edge of their seats in every scene by reenacting one of the most familiar stories with a passionate and charismatic touch. 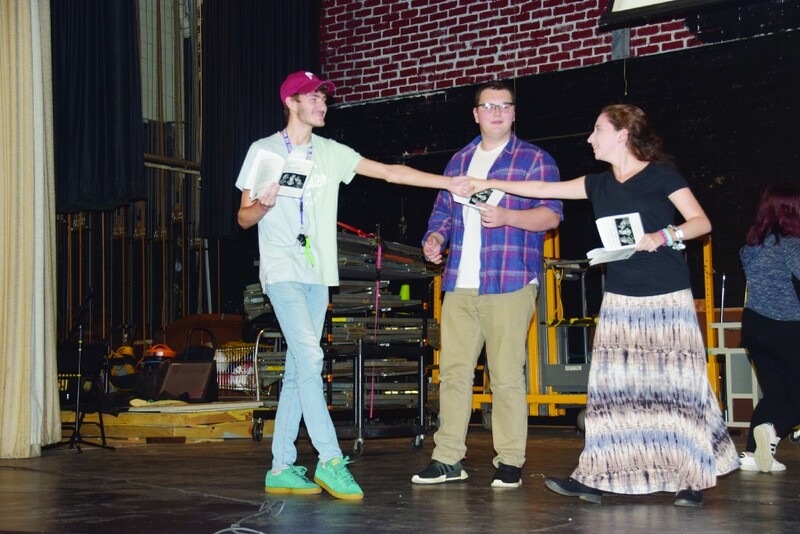 Cherry Hill West’s performers have enjoyed being able to immerse themselves into unexpected roles while using their upbeat energy to create one of the most anticipated fall productions Cherry Hill West has had to date. “This cast as a whole is working very hard. It’s hard to have 19 people on stage at one time. There’s lots of energy. There’s lots of comedic parts to it. It’s a family friendly show that everyone can come to and enjoy and get in the spirit of Halloween,” Director Kate McWilliams said. Adult and student prices are $15 and $10 for senior citizens. Tickets are available at Cherry Hill High School West, located at 2101 Chapel Ave., or can be purchased online at ShowTix4U.com. For more information, call (856) 663–8006.